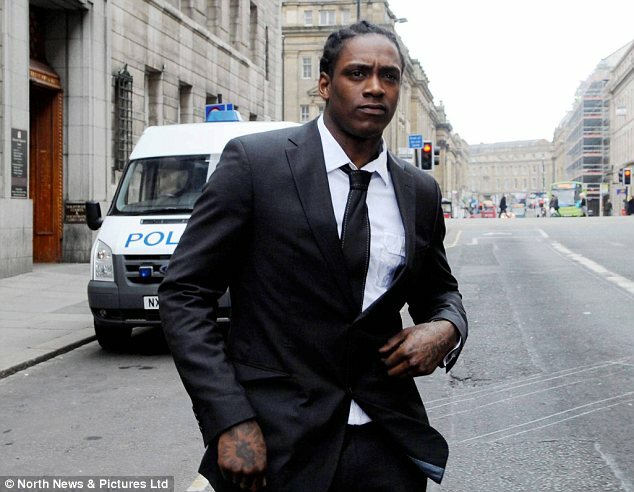 Ex Newcastle United striker Nile Ranger was handed a 12-month community order today for pulling his girlfriend's hair during a row. Ranger admitted common assault on Shakira Bicar outside the city's Gate entertainment complex at around 7pm on March 13. 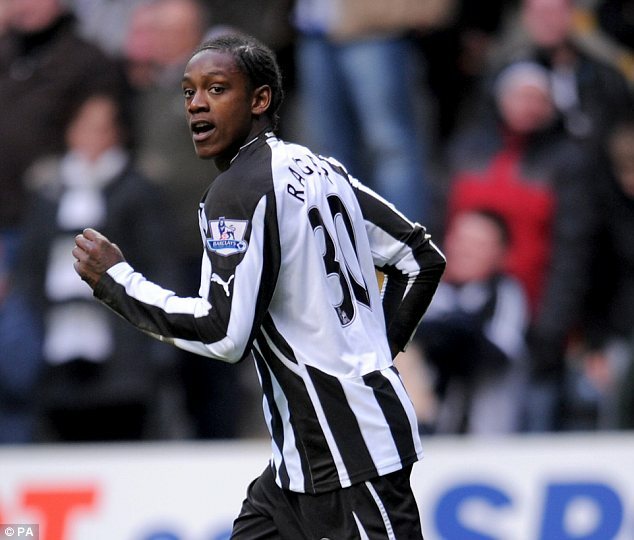 The twenty one years old was released by Newcastle United following a series of off-pitch problems and his solicitor said he hoped to resume his football career in the summer. Newcastle Magistrates' Court heard that the row happened when Ms Bicar was out with a male work colleague to organise a social event. Ranger repeatedly contacted her on her phone and the couple then argued in the street. Witnesses heard him tell someone on the phone 'I'm going to grab her'. During a struggle, she kicked his leg and he pulled her by the hair towards the Gate car park in Newcastle city centre. Chairman of the Bench Chris Robinson ordered the player to carry out 120 hours of unpaid work during a 12-month community order, nine months of which will be supervised. Ranger offered to pay the £85 costs and a £60 victim surcharge immediately. No order was made for compensation as there was a possibility of reconciliation, the court heard. Mr Robinson said Ranger must also address 'gambling issues' which were not mentioned in open court. Ranger, who wore a grey suit, white shirt, black tie and black trainers for the hearing, declined to comment as he left court and was driven away in an Audi A3. During the hearing, Geoffrey Forrester, defending, said Ranger, who pleaded guilty at the first opportunity, 'regrets his behaviour and apologises for it'. The solicitor said Ranger would welcome unpaid work to 'give something back' and make amends for his behaviour, before resuming his football career in the summer. Ms Bicar, Ranger's girlfriend for three years, did not make a complaint to police but did tell officers at the scene that she had a sore neck. She said later she did not want a restraining order put in place. The court heard there had been previous "domestic incidents" between the couple at Ranger's house in Forest Hall, North Tyneside, which required the police, but there had never been a formal complaint. Dealing with Ranger's previous convictions for drink-driving, battery and being drunk and disorderly, Mr Forrester said they happened within a six-week period in autumn 2011, and that the battery offences for which he was given 12-month conditional discharge happened when he struggled with police having been racially abused in the street by others.